Claire Sadowniczak of Orlando, Florida, is a member of the APF. She keeps the group encouraged and laughing. Her stories about her turtle Alamo are sheer delight and lessons in tenacity for all of us. My mother and I have AIP; I started attacks at age 11. One thing that gives me great pleasure is rescuing a wild animal, nursing it back to health and releasing it back into the wild. One rescued 5" brown and black Florida mud turtle left me a present, an egg. It hatched on a freezing day, so I couldn't release it. The black hatchling was smaller than a dime, the shell still soft when I picked her up. I carried her in the palm of my hand as I was preparing a tank of gravel with a plastic sour cream lid as her "pond". We went to the pet store to try to find food small enough for her. They said I'd never keep her alive and she's now 11 years old. When I finally put her into her tank, she ran to the front glass begging me to pick her up again. She ignored my screaming Pomeranian who was jumping up and down in front of her tank. I named her Alamo for her courage in the face of danger. Water turtles do not have salivary glands or pulmonary muscles to swallow air to breathe. After being out of the water awhile, her mouth dries out and her beak "squeaks". When this occurs, I put her back into her pond. Once I picked her out of her pond and put her on hubby's lap, so I could clean her tank. She doesn't like him so she began squeaking her beak when I left the room, begging to get off his lap! She potty-trained herself, too. I kept a towel on my lap when I held her. She realized that I didn't like her mess and hasn't had an accident since she was six months old. She just squeaks her beak to ask to go back into her tank. I feed her with a plastic spoon. Since she is in the snapping turtle family, I didn't want her to associate fingers with food. She'll swallow anything presented on a spoon, including medicine and will follow a spoon anywhere! She also loves TV and gets very involved. If a car explodes on a show, she'll open her mouth at the TV. Once she had a respiratory infection; turtles can catch colds from people. The vet told me to add a heater and thermometer to her tank to keep the water at 80 degrees. She did not like either, popping the heater off its rubber suction cups and bashing it and the thermometer against the rocks till I removed them. It is HER home after all. Alamo enjoys being an only child and will attack a mirror until it is removed. Although the breed is supposed to be "vicious", she is a sweety with me. She once saw a piece of shiny fuzz on my sweater that she wanted to eat. She very gently tried to get it with the side of her mouth so she would not accidentally bite me through the sweater. I carry her around under the hem of my T-shirt or in a pocket for hours, and her little head comes out like a periscope to look around. She sits on my lap in the car. In the vet's office, Alamo watches the other animals from my lap and feels quite safe and content. I put her on the grass in the back yard for exercise, and she runs straight back to me. Definitely a lap turtle! Prior to my diagnosis of Acute Intermittent Porphyria, I underwent abdominal surgery with sodium pentothal, went into cardiac arrest and a three month major porphyria attack. Therefore, when I learned that I needed gallbladder surgery, I was very nervous. I found a general surgeon, Dr. Cesar Cabascango, who is not only familiar with porphyria, but I was his fifth patient with porphyria. Normally, with the laproscopic gallbladder procedure, you have surgery the same day as admission and go home the following morning. Because of my porphyria, Dr. Cabascango had me admitted the day before surgery, opened a central line with three ports in my chest, and infused large doses of dextrose. He continued to infuse dextrose during surgery and for an additional two and a half days in the hospital after surgery. By faxing information on porphyria to my insurance company, he even got them to approve the additional stay in the hospital. I did not suffer a porphyria attack whatsoever. The surgery was performed at Florida Hospital Orlando. The Assistant Director of Anesthesiology handled my case personally, and brought me through the procedure with no problems. 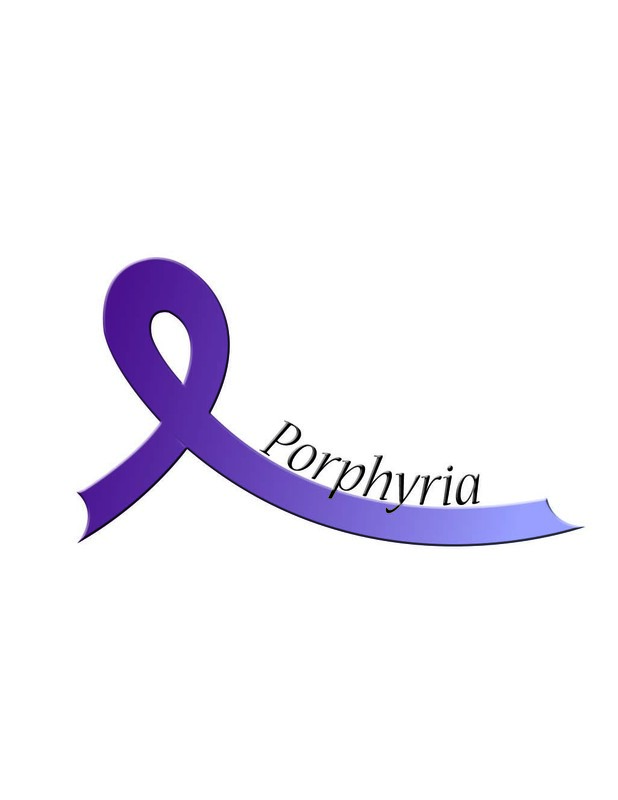 Everyone at the hospital researched porphyria, read the brochures from the American Porphyria Foundation that I provided, questioned me about it, and treated me with such special care that it was my most positive hospital experience ever. Many people with porphyria have horror stories about past medical care, including myself, but things are improving and the brochures provided by the American Porphyria Foundation are a great benefit when distributed to health care professionals. Rocco suffers from erythropoietic protoporphyria (EPP), a genetic disorder that makes skin extremely sensitive to sunlight. The often almost invisible burns and the resulting severe pain are limited to the areas of skin exposed directly to light. Depending on their intensity, the symptoms can last for several days and may even require hospital treatment. Diseases like EPP may be rare but their impact is great. 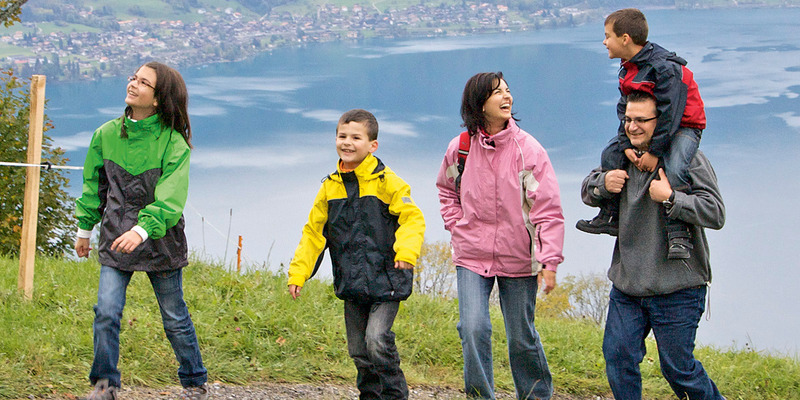 There are approximately 7,000 rare diseases affecting more than 300 million people worldwide. Novartis is committed to research to deepen the understanding of rare diseases and to help patients underserved by today's medicines. In addition, research into rare diseases teaches us about the fundamental mechanisms of human biology and disease, often applicable to more prevalent disorders. The views expressed in this story are Falchetto’s and not the views of Novartis. Las porfirias son un grupo de trastornos genéticos causados por problemas con la forma en que el cuerpo produce una sustancia llamada hemo. El hemo se encuentra en todo el cuerpo, especialmente en la sangre y en la médula ósea, donde transporta oxígeno. Existen dos tipos principales de porfirias: Uno es el que afecta la piel (cutáneo) y el otro es el que afecta el sistema nervioso. Las personas que tienen porfiria cutánea desarrollan ampollas, picazón e inflamación en la piel cuando se exponen al sol. El tipo de porfiria que afecta al sistema nervioso se llama porfiria aguda. Los síntomas incluyen dolor en el pecho, abdomen, brazos o piernas, espalda, adormecimiento de los músculos, hormigueo, parálisis o calambres, vómitos, estreñimiento y cambios mentales o en la personalidad. Estos síntomas pueden aparecer y desaparecer. Algunos desencadenantes pueden causar una crisis, como ciertas medicinas, el cigarrillo, el consumo de alcohol, las infecciones, el estrés y la exposición al sol. Las crisis se desarrollan en horas o días. Pueden durar días o semanas. La porfiria puede ser difícil de diagnosticar. Requiere de exámenes de sangre, orina y heces. Cada tipo tiene un tratamiento diferente. Parte de este es evitar los desencadenantes. También puede incluir tratamiento con hemo (hematina) a través de una vena, medicamentos para aliviar los síntomas o extracción de sangre para reducir la cantidad de hierro en el cuerpo. Las personas que presentan varios episodios quizás deban ser internadas. What are common signs and symptoms of AHP? 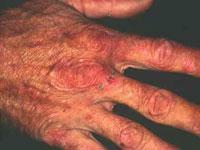 Porphyria cutanea tarda (PCT) is the most common type of porphyria. An increase in porphyrins in the skin result in photosensitivity, ie, the skin is damaged by light. What are the symptoms of porphyria cutanea tarda? Although these features may also occur on the face and neck as well, it is more common to notice mottled brown patches around the eyes and increased facial hair (hypertrichosis). 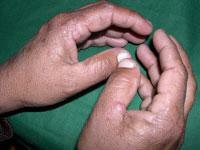 Occasionally the skin becomes hardened (scleroderma) on the neck, face or chest. There may be small areas of permanent baldness (alopecia) or ulcers. 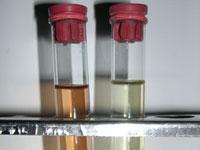 Characteristically, the urine is darker than usual, with a reddish or tea-coloured hue. 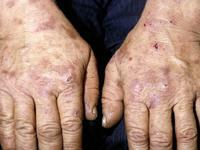 The clinical appearance of variegate porphyria is similar but the biochemical abnormality is different. What is the cause of porphyria cutanea tarda? PCT is due to a defective enzyme in the liver (uroporphyrinogen decarboxylase). This is involved in synthesis of the red pigment in blood cells (haem). Some families carry an enzyme that is prone to oxidation under certain circumstances, most often due to iron accumulation. There are basically two forms of PCT, type 1 and type 2.
polychlorinated aromatic hydrocarbons (eg, dioxins, when PCT is associated with chloracne). Type 2 PCT is familial and associated with abnormal genetic variants of uroporphyrinogen decarboxylase. Trigger factors are less often involved and onset of PCT is often younger than in type 1 PCT. Skin biopsy : characteristic changes are seen which differentiates PCT from other blistering diseases. 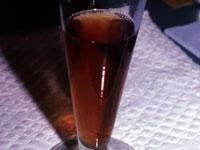 Examination of the urine with a Wood's lamp: may reveal coral pink fluorescence due to excessive porphyrins. 24 hour urine porphyrin profile: total porphryins are usually elevated 5- to 20-fold above the upper reference limit. Most of the excreted porphyrins are uroporphyrin and a 7-carboxyl porphyrin. Complete blood count to assess haemoglobin levels. Measurement of iron stores, which may be increased in over 30% of patients. Liver enzymes because the liver sometimes does not function normally. Fasting blood sugar because of the increased incidence of diabetes. Antinuclear antibodies because of the increased incidence of lupus erythematosus. If a blood ferritin shows iron stores are increased, further investigations may include transferrin saturation and genotyping for hereditary haemochromatosis. Avoid alcohol, oestrogen, and iron. If using pesticides, be very careful to avoid contact with polychlorinated aromatic hydrocarbons (eg. 2,4,5T). Apply an opaque sun-block and cover up when outside; the responsible light is the "Soret" band at 400 nm which is unfortunately not blocked by most sunscreens. Phlebotomy (removal of blood) — up to 500 ml blood is removed every one to two weeks until the haemoglobin and iron levels drop to low normal levels. It may take 3 to 6 months to improve. Venesection may need to be repeated after a year or more. Antimalarial tablets, ie, low-dose chloroquine or hydroxychloroquine may be recommended, but must be used cautiously. This medication makes the porphyrins more soluble so more are excreted in the urine. Autologous red cell transfusion (this is a blood transfusion using the patient's own red cells that have been washed to remove plasma thereby reducing the circulating porphyrins). A porphomethene inhibitor of uroporphyrinogen decarboxylase causes porphyria cutanea tarda. Porphyria variegata and porphyria cutanea tarda in siblings: chemical and genetic aspects.